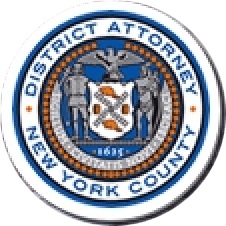 Manhattan District Attorney Cyrus R. Vance, Jr., today announced the sentencing of RODERICK COVLIN, 45, to 25 years-to-life in prison for murdering his wife, Shele Danishefsky Covlin, 47, at her Upper West Side apartment on New Year’s Eve in 2009. On March 13, 2019, a New York State Supreme Court jury found COVLIN guilty of Murder in the Second Degree. “The Danishefsky family never gave up, and neither did we,” said District Attorney Vance. “Roderick Covlin will now spend decades in prison for his domestic violence, depravity and deception, but family and intimate partner violence continues on in apartments across New York City. The crisis of domestic violence does not discriminate, and we want any New Yorker in an abusive relationship to know that you are not alone, and help is available: call our Domestic Violence hotline at (212) 335-4308, or stop by our Manhattan Family Justice Center. Assistant D.A.s Matthew Bogdanos, Senior Trial Counsel for Trial Bureau 50, and Anne Siegel handled the prosecution of the case with Senior Investigative Analyst Nicole Drosinos under the supervision of Executive Assistant D.A. John Irwin, Chief of the Trial Division. Former Assistant D.A. Ann Prunty, Counsel to the Trial Division; Former Deputy Chief Investigator Robert Mooney; Analysts Apsara Iyer, Mackenzie Priest, Kathleen Walsh; Trial Preparation Assistant Ryan Kellner; and Intern Desiree Marks provided valuable assistance with the case. District Attorney Vance thanked the NYPD, particularly Detective Carl Roadarmel of the 20th Precinct Detective Squad; Former Detective Frank Brennan, also of the 20th Precinct Detective Squad; and Detective William Brown of the Crime Scene Unit for their assistance with the investigation.